In this VETgirl online veterinary continuing education blog, we demonstrate how to perform an autologous blood patch pleurodesis for treatment of pneumothorax in a dog. While pneumothorax is often treated by thorocentesis, chest tube placement, or rarely, surgical correction, the use of an autologous blood patch can be considered for those that have failed conservative therapy or may not be a surgical candidate (Oppenheimer). In human medicine, the injection of irritating substances such as talc powder, tetracycline and autologous blood can be used to induce pleurodesis (Cobanoglu et al). When using an autologous blood patch, it is hypothesized that the formation of a clot and secondary fibrogenic activity of the blood patch causes pleural irritation and inflammation and directly seals the air leak through formation of a clot (Light). Back in 2014, Oppenheimer et al reported the use of autologous blood patch treatment in 8 dogs, with almost 63% successfully responding after 1 procedure, and almost 88% responding after additional procedures (Oppenheimer et al). In this video, an unknown aged, male neutered, German shepherd dog presented after being hit by a car. The dog was diagnosed with a pneumothorax and stabilized with IV fluid therapy, analgesics, and thoracocentesis. Due to financial limitations, the owners authorized an autologous blood patch pleurodesis for treatment of the pneumothorax. The patient was placed under general anesthesia, and the skin over both the jugular vein and the thorax were clipped and prepared aseptically. Using a closed collection set, blood was collected directly from the jugular vein with a needle and syringe, and no additives were used. This was injected immediately into the pleural space, followed by a small amount of saline flush. Based on Oppenheimer et al's protocol, 5-10 ml/kg of blood can be collected in 20-50 ml increments and given directly via a previously placed thoracostomy tube or via thoracocentesis. The patient was then gently rocked back and forth after the procedure (making sure that the endotracheal tube is disconnected to prevent tracheal injury) and recovered well. In this case, autologous blood patch pleurodesis was safe and effective in treating and resolving the pneumothorax. 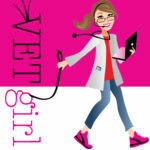 For more great veterinary online continuing education, check out our VETgirl blog here! 2. Light RW. The blood-patch technique for persistent airleaks. Accessed at http://www.toraks.org.tr/uploadFiles/book/file/15112012155317-6870.pdf, August 2016. 3. Oppenheimer N, Klainbart S, Merbl Y et al, Retrospective evaluation of the use of autologous blood-patch treatment for persistent pneumothorax in 8 dogs (2009–2012). J Vet Emerg Crit Care. 2014;24:215–220. I have a doubt.The place where you place the blood patch in the pleural space has to be close to the air leak or doesn’t matter? You never know where the leak is, so it doesn’t matter.